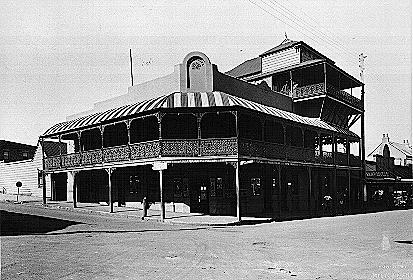 Left, the Royal Alfred Hotel as it looked in about 1900. 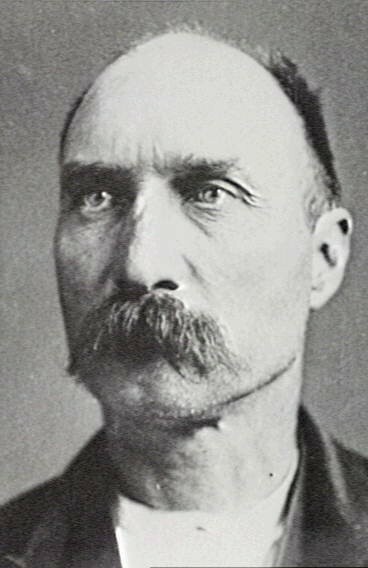 Below: John Makin. THE 19th century had many notorious and scrupulous publicans. None were so callous and infamous than one time Royal Alfred Hotel hosts, John and Sarah Makin of Wollongong. The well respected and large Makin family were involved in the hotel industry in Illawarra region and John would eventually also enter the trade. The Makins married in Sydney in 1871 and later they moved into his uncle's pub, the Settlers Arms in the quiet seaside-township of Wollongong. John was born in Dapto in 1845 and after his marriage obtained worked as a clerk at the Wollongong Wharf. Deciding to join his relatives in the hotel trade, he applied for the license of his uncle's pub, the Settlers Arms on July 9 1872. The Settlers Arms was a typical country pub on the corner of Crown and Keira Streets Wollognong. It continued operating, in updated premises and under various names, until its eventual demolition in the 1970s. Senior Sergeant Sheridan had some reservations about John Makin and opposed the application, doubting the fact he was a married man. Makin told the court he had married Sarah Jane Edwards in Woolloomooloo in 1871 and was requested by the Bench to show his marriage certificate. The hopeful publican did so under protest and the license was granted. John Makin changed the name of the hotel from the Settlers Arms to the Royal Alfred Hotel and during his occupancy Sergeant Sheridan claimed the pub was conducted improperly and was disorderly. Sheridan opposed their renewal application in 1873 saying that Makin was in the habit of selling liquor illegally and drunken men were seen leaving the pub at all hours on a Sunday. After considering Makin's application, without hearing Sheridan's "several respectable witnesses", the Bench granted Makin's renewal. John and Sarah Makin left the Royal Alfred in October 1873 and moved to Sydney where they found difficulties earning a steady income. The former Wollongong publicans began a dreadful and shocking occupation that what would later earn them the name of the "baby farmers". This awful crime would shock Sydney town, and brought horror and embarrassment to the well-respected Makin family in the Illawarra. The pair had adopted babies from unmarried mothers for either a one up fee or a small weekly payment. This was nothing unusual during these days and the money from the dozen or so infants that the Makins eventually adopted helped feed their already large family. John and Sarah's only other income was from a 1 pound a week inheritance. The hidden reality of the Makin's gruesome life was discovered at their home in Burren Street Macdonaldtown in 1893 when two plumbers came across the buried remains of babies. The two had murdered at least 15 adopted babies and consequently convicted of murder. John Makin was sentenced to death and hanged in Darlinghurst Gaol on 15 August 1893. His wife, Sarah, was also sentenced to death, but later this was commuted to life imprisonment. She was released from gaol after 18 years. Senior Sergeant Sheridan's assumptions of Makin's character were vindicated and, no doubt, he was heard to say around the shocked streets of Wollongong that he knew there was something suspicious about those hosts of the Royal Alfred.